Dollywaggon, or Dollywagon Pike is a fell in the eastern Lake District on the spine of the Helvellyn range. Dollywaggon Pike has a great range of camping and caravan sites as well as a great selection of attractions and things to do in the area. Check out the key information on the right and then explore the camping and caravanning sites near Dollywaggon Pike listed below. 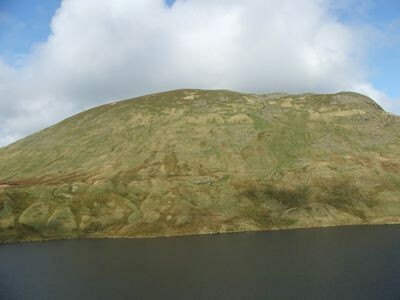 The Tongue provides a fine route of ascent, though a long one, from Patterdale and the fell can also be reached from the Grasmere area via Grisedale Tarn. Ascents up the western slopes are unimpeded but uninteresting.. For more Ascents of Dollywaggon Pike please see Wikipedia Dollywaggon Pike Ascents.